This imposing building is an excellent example of California's Mexican era architecture. 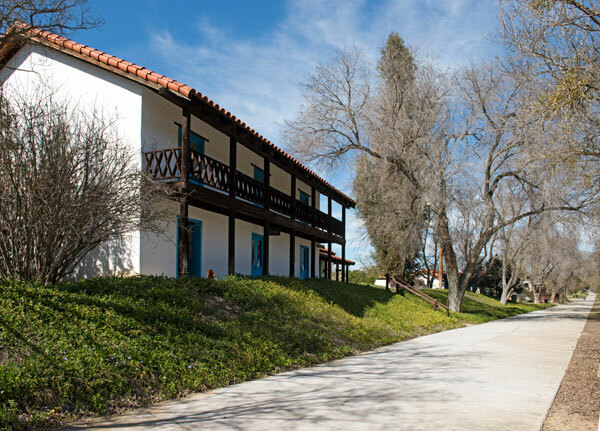 Using Indian labor, Petronilo Rios built the two-story adobe about 1846 as his residence and the headquarters for sheep and cattle operations. Named "Caledonia" in the 1860s, it served as a hotel and stagestop on the route between Los Angeles and San Francisco until 1886. 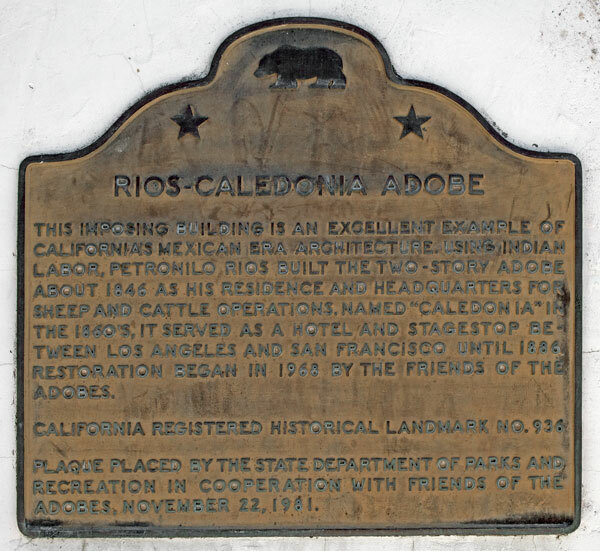 Restoration was begun in 1968 by the Friends of the Adobes. Plaque placed by the State Department of Parks and Recreation in cooperation with Friends of the Adobe, November 22, 1981. 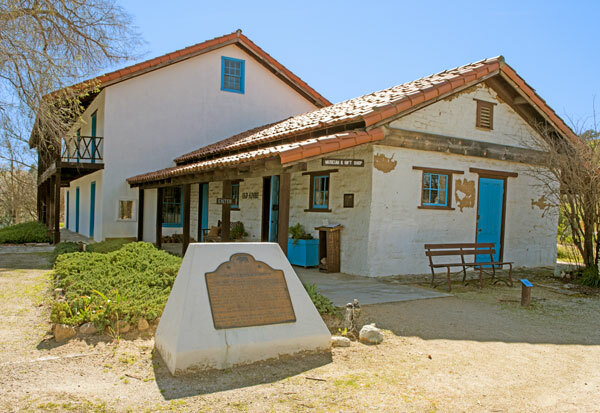 The Rios-Caledonia Adobe is also listed on the National Register of Historic Places.